The Bukidnon Pulangiyen is a group of Indigenous People whose documented ancestry in the area dates back to the early part of the 19th century. These people subsisted mostly by hunting and gathering, and lived along rivers in the forest. As a way of life and also due to occasional tribal wars, the people constantly moved up the mountains to seek better resources. 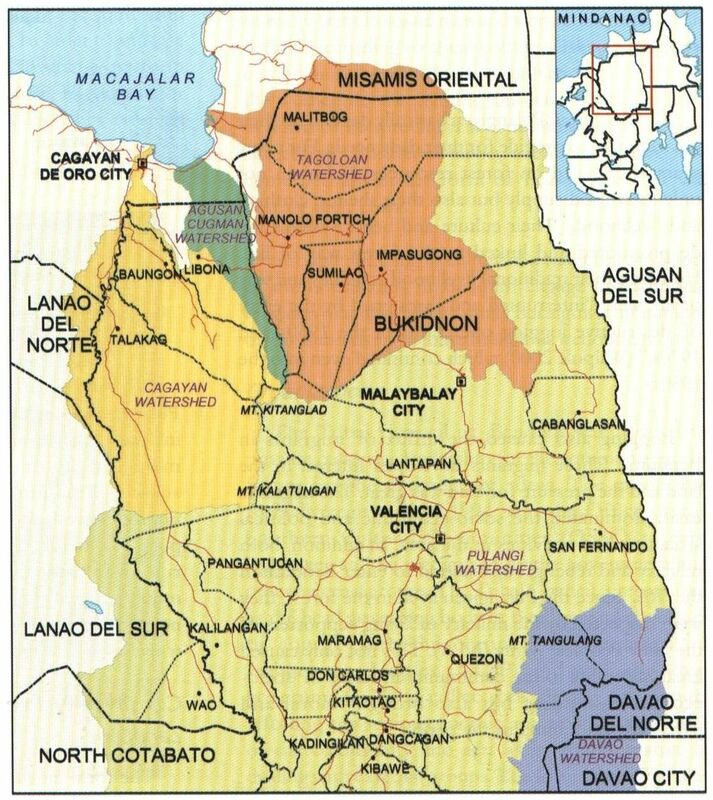 Some of the early settlements they built were by the Agusan, Tagaloan, Cagayan, and Pulangi Rivers. The presence of colonizers increasingly impacted on their way of life. While some accepted the Spanish colonizers, most of them opted to retreat to the inner-forested areas of Northeastern Mindanao. 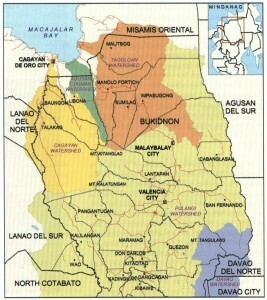 Settlements were formed in the Libang, Maasam, Adjaoan and Umayam Rivers in Agusan. Others continued the upstream migration until they reached the Upper Pulangi area. The elders identified the groups according to the tributaries they inhabit. Thus, those who settled in the Tagaloan were called Tagaloanen, those in the Maasam River were called Maasamnen, and those near the Pulangi River were called Pulangiyen. When the American Baptist missionaries reached the Upper Pulangi area during the American occupation, some of the communities were forced to integrate with mainstream society. Others who refused retreated further by crossing to the eastern side of the Pulangi River. When the Second World War broke, more groups crossed and settled there. After the Japanese War, the nomadic groups were encouraged by the government through the Commission on National Integration (CNI) to come down from the uplands and form their own communities. Some of the people settled in Sumpilon (now called St. Peter) near the Namnam River. Others settled along the banks of the Salundinganon-Pulangi, Kaluwayan and Manambulan Rivers further north. These latter settlements are all within what is now known as Bendum. Farming is a major source of livelihood in Bendum. They use the traditional farming system, which they call sakum. Aside from diversity of crops, an important feature of the sakum is the use of long fallow periods that lasts from 5-10 years to enable poor quality soil to remain productive. The presence of trees helps the water to flow and inhibits soil erosion and landslide. However, their farming system and even their livelihood was “interrupted and threatened by the entry of destructive logging operations in the 1960s and 1970s,” which continued even until the 1980s. 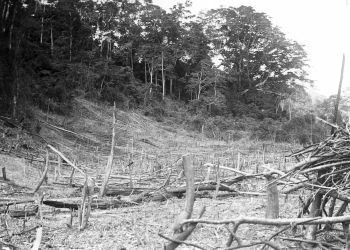 In 1981, as a result of an extensive logging in the highlands, a large amount of mud was washed away by heavy rains into the Agusan River. This resulted into severe flooding which caused the death of hundreds of people and left a thousand more homeless. Connected with the illegal logging was the influx of migrants in Bendum. These migrants were basically lowland people who developed interest in the Bukid-non land. They brought pressure to the people of Bendum in order to occupy the lands and eventually dominated the socio-economic and political structures and activities in the area. During the time, widespread poverty was occurring rapidly in Bendum. There was scarcity in resources. People lived on subsistence and endured seasonal hunger. Selling their lands to the lowlanders became imminent. In time, this tipped the scale in favor of the Visayan migrants. As if this was not enough, military groups and rebel groups started to invade Bendum in the ‘70s. Since the Pulangiyen lived in the forest, they were suspected by the military of being supporters of the New Peoples’ Army (NPA). This not only caused great instability to the community in terms of socio-economic standing but also brought moral and psychological trauma to the people. As a result of all these external factors, the Bukid’non-Pulangiyen opted to retreat further up the mountains instead of confronting the issues. This caused them more hardships and sufferings as they dealt with food scarcity, malnutrition, health problems and unproductive land to till. It was at this point that the people of Bendum realized that they could no longer run away from their problems. Retreating to the mountains would not solve their predicaments. They need to face their problems head-on and reclaim what truly belongs to them.